The prizes from CineMayhem Film Fest sponsor Scream Factory have arrived today and they look awesome! 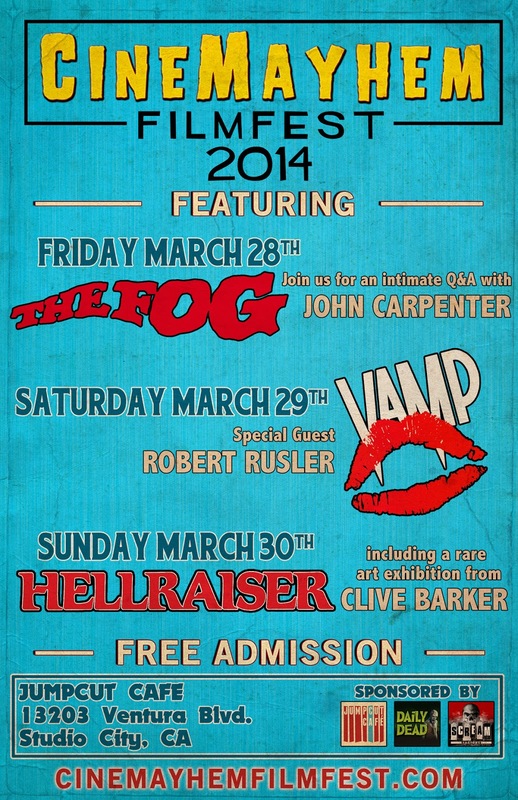 This is definitely going to be a great celebration of THE FOG! And don't forget, (FREE) tickets for CineMayhem will be available starting on Monday, March 10th at various times throughout the day. Be sure to like us on Facebook (www.facebook.com/CineMayhemFilmFest) or follow us on Twitter (twitter.com/CineMayhem) for all the details on how you can score your tickets for CineMayhem 2014!